Last week we saw a surge of enquiries from primary schools – strangely though, this was not related to the fine weather that has heralded the start of summer. Both enquiries were related to the water is cool in school initiative which has received wide spread praise from Uk Ofsted inspectors. We thought it may be interesting to lay out in detail some of the needs and considerations that these enquiries brought to light. The first was from a school in Lincoln who are looking to be able to provide drinking water for all children in each classroom. 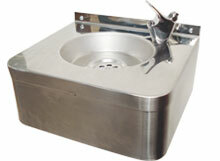 The Victorian primary school was looking to replace aged sinks in each classroom with a simple wall mounted fountain sink. This simple unit has very small dimensions and simply has a bubbler for children to drink from. With wall mounted sinks the drinking water comes straight from the mains supply, is passed through a water filter if required and comes out of the bubbler when a simple button us depressed. The basic form of wall mounted sink has no chilling unit and therefore the water comes out of the bubbler at mains water temperature. The second enquiry was for an outdoor freestanding water fountain for the centre of a childrens playground. This area of a primary school was being redeveloped and the contractor in charge of works was able to make provision for mains-fed water and waste to be taken to a central area under the main asphalt area. There are a number of fountains built in the UK that are suited to high usage external environments. We were able to source three specific fountains that fitted the remit including one that has been specifically developed for a primary school where the drinking area is at 800mm rather than the more standard 1 metre suited to adults. We were able to provide the contractor with detailed installation information in advance of the construction detail being completed within a one hour framework. 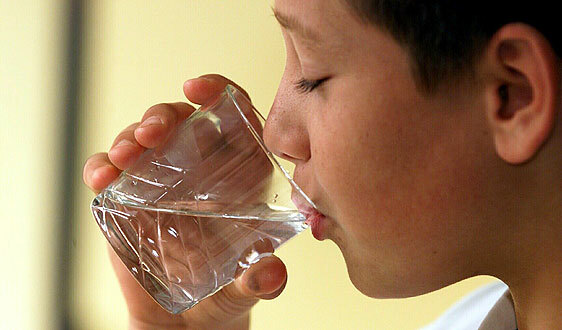 For more detail on our drinking water solutions for schools and the wider education sector please call us or email contact@drinkingwaterfountains.co.uk.